Raccoons are some pesky creatures well-known for their destructive manners, and they are found in the woody areas. These furry animals damage the crops (they are corn and watermelon lovers), and you can also find them in your garbage. 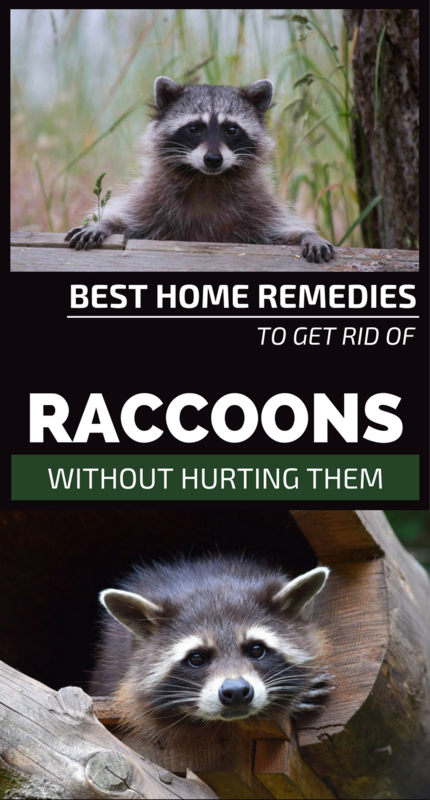 If you’re dealing with such pests, then you should try the following remedies to get rid of raccoons without hurting them. Being nocturnal animals, they enjoy peaceful and dark areas. So, if you light up your yard these cute animals won’t visit you anymore. Seal the access point with wooden planks, net fence or wired fence to prevent them from coming in your garden. Raccoons are afraid of wolves, mountain cats and coyotes. If you spray urine around your garden, they will think the predator is nearby and they will run. You can find predator urine on stores or online shops. Sprinkle garlic powder around your attic and garden and these pests won’t touch your crops and home. The smell of garlic will send them away. Spray vinegar in your dumpster, because raccoons hate the smell and taste of vinegar. These raccoon repellent will get you rid of these furry pests. Boil 1 cup of cayenne pepper in water. Allow it to cool then spray with this solution all the access points. You can also spray around your garbage. Yuck! Raccoons hate the smell of ammonia and it will leave immediately. Dip a few tennis balls in ammonia and place them around your garden near the access points. This way you’ll definitely get rid of raccoons.